Wow, already Wednesday again, I can't quite get over how fast time is flying! I am feeling like myself once again and I have been keeping myself very busy this week. I have lots of exciting things to tell you about so let me jump right in by talking about my WIPs first. 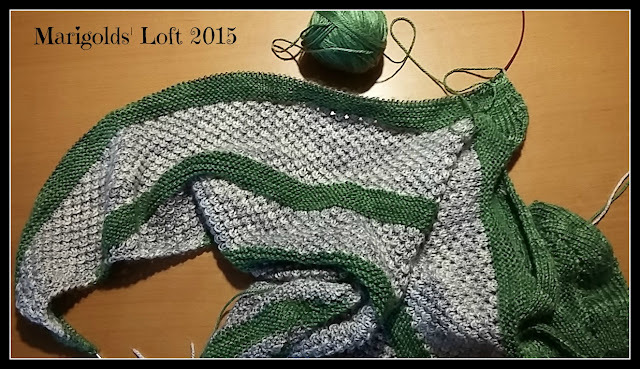 I am on the home stretch of my Shawl and have about 8 repeats left of the wave border. 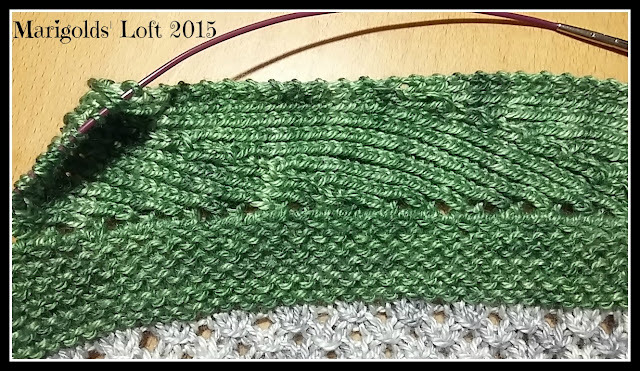 It is a really relaxing pattern and I am enjoying the last bit of it immensely. 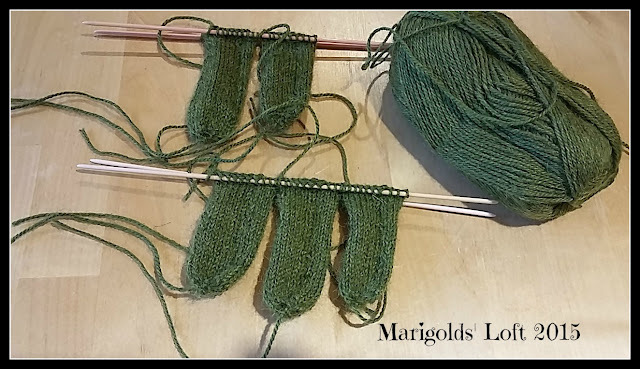 The next bit of green are some gloves that I am making on order. 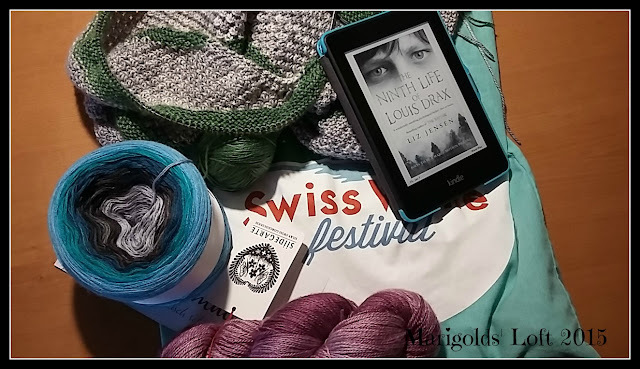 At the festival on the weekend (You can read about the festival HERE) I decided to get some lovely Siidegarte Fideel for my Mindful Shawl. I think this will make a perfect match for the shawl and will start with a swatch as soon as I am done with my other shawl. Doesn't this gradient yarn look absolutely amazing? 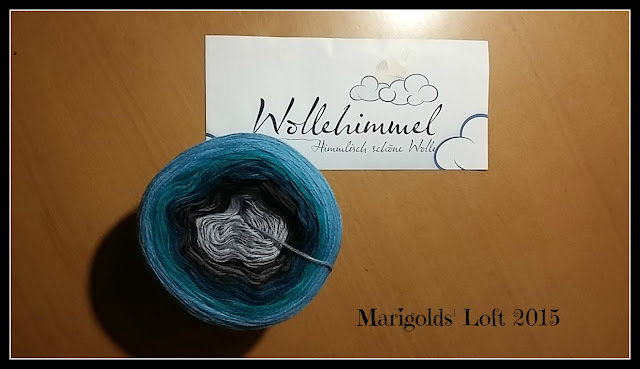 This is some gorgeous yarn from Andrea of Wollehimmel in Germany. 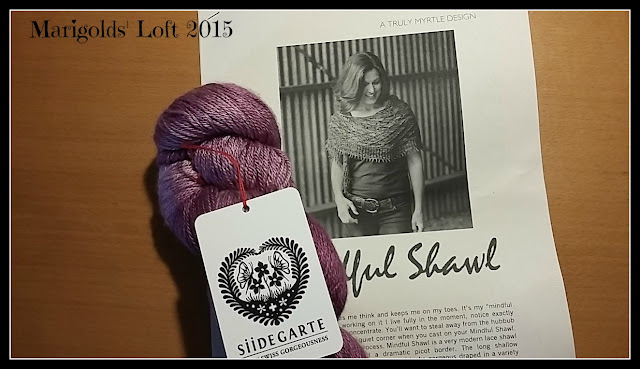 She will be sponsoring an awesome Shawl KAL which will be starting on the 2nd November here on Marigolds' Loft. I do hope you will be joining me? I will be sharing all of the details with you on Monday 12th October so do come back and read all about it! I am not far enough into the story to have an opinion but so far it is quite good. I will be sharing this post with all of my weekly creative friends so pop over there for some great inspiration! WOW, you have a lot of beautiful projects going on. Happy yarn Along Wednesday.